Download the 7 steps now! To plan your landscaping project, you need to have on hand at the outset certain information to avoid many disappointments and additional fees. Take advantage of these tips to have a successful landscaping. 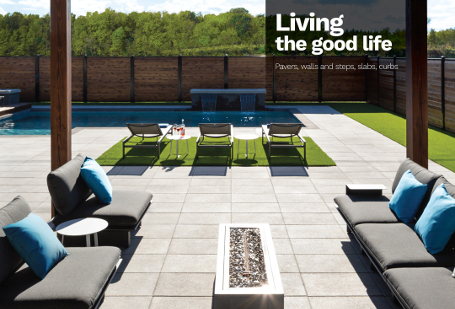 Create your project in 4 steps Use our product advisor to select the best slabs, pavers and/or wallstones for your application. Download or order and receive the latest free Bolduc brochure which contains the full range of Bolduc products. Load up on ideas with our 128-page Brochure.